William Cary was born on 20 October 1831 at Brighton England, son of William Cary and Patience. He married Emma Hitchler at Brighton England in 1853 and the couple emgrated to Sydney in 1854. There were five sons and five daughters of the marriage. He died at Glenwood, Hereford Street, Glebe on 20 February 1906, aged 74 years. Emma Cary died 8 February 1912, aged 81 years. Trained as a modeller and ornamental plasterer, Cary invented pressed cement ornaments. He became a contractor and established the firm of William Cary & Sons, George Street South, importers of which he was the senior partner. The business prospered, and Cary’s estate was valued at 162,444 pounds for probate purposes. He was a partner in Industrial & Provident Permanent Benefit Building Society 1871; director of Excelsior Land Investment & Building Co 12 years. Director of Deaf, Dumb & Blind institution.Stood for Glebe as Freetrade candidate in 1894 when he told electors “protection meant feeding the few and starving the many”. 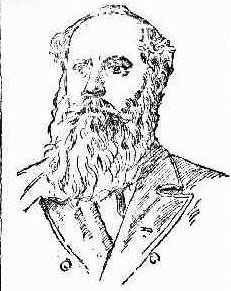 President of Glebe Rowing Club 1888 to 1899. Patron Glebe District Cricket Club. Founding member of Wentworth Masonic Lodge 1881. William Cary resided initially at Waverley and served as an alderman of Waverley Council from 1868 to 1873, and was its mayor in 1871. Cary was an aldermen from 1878 to 1882 and from 1892 to 1905, and mayor twice: 1879 and 1896-97. By 1885 the insanitary condition of Glebe posed ‘a serious menace’ to the suburb, so Council undertook its own sewerage works, the bulk of the work carried out under contract between 1887 and 1889. Before the sewer connection, the mortality rate of Glebe was high; Cary told the select committee in 1901 ‘typhoid and other diseases were rife…..and up to that time Glebe had a very unsavoury reputation in that regard’.